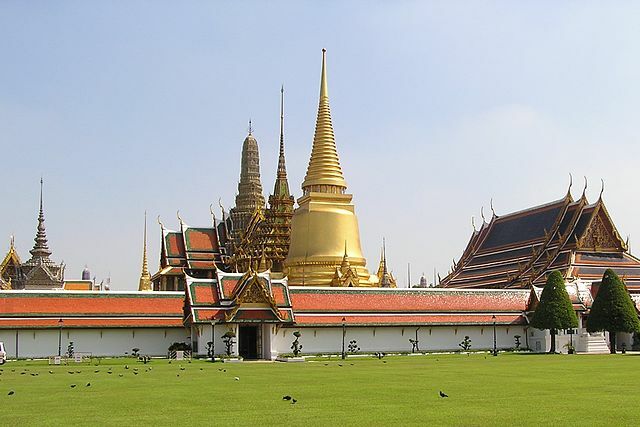 The ceremonial name of Bangkok is: “Krungthepmahanakhon Amonrattanakosin Mahintharayutthaya Mahadilokphop Noppharatratchathaniburirom Udomratchaniwetmahasathan Amonphimanawatansathit Sakkathattiyawitsanukamprasit” This means “City of angels, great city of immortals, magnificent city of the nine gems, seat of the king, city of royal palaces, home of gods incarnate, erected by Vishvakarman at Indra‘s behest”. King Rama I (1737-1809), who was the founder of the still ruling Chakri dynasty in Thailand (back then it was Siam) was responsible for firmly establishing the name, when he used it to establish his new capital. For obvious reasons, shorter names are being used for the city, although Bangkok is actually not used by the Thai people. Instead it is often called Krung Thep.